I remember the first skincare product I used. After a recommendation from my pediatrician, I purchased an acne product for my skin as a teenager. It was a big brand you can find at just about every pharmacy, one that you constantly see advertised on TV and in magazines. Within days, my skin was dry and flaky. I had to stop using it, and was horrified when I looked at the ingredients. Seeing a long list of ingredients, most of which you can't even pronounce or really even figure out the source of, is kind of scary. Especially when it's something going on your skin! After that, I started to look carefully at any product that came into contact with my skin, whether it was shaving cream, shampoo, conditioner, or body lotion. Unfortunately, there's a lot of products on the market that have unnecessary ingredients in their contents. But there is a growing awareness about what we put in our body, and on it. 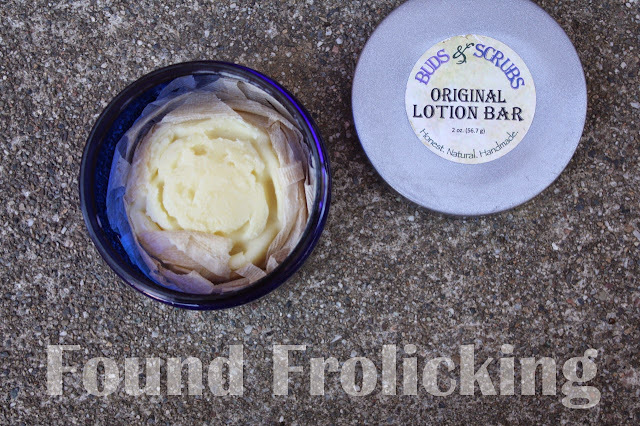 Buds & Scrubs keeps their ingredients simple, because they know that's all they need to do to achieve an amazing product. 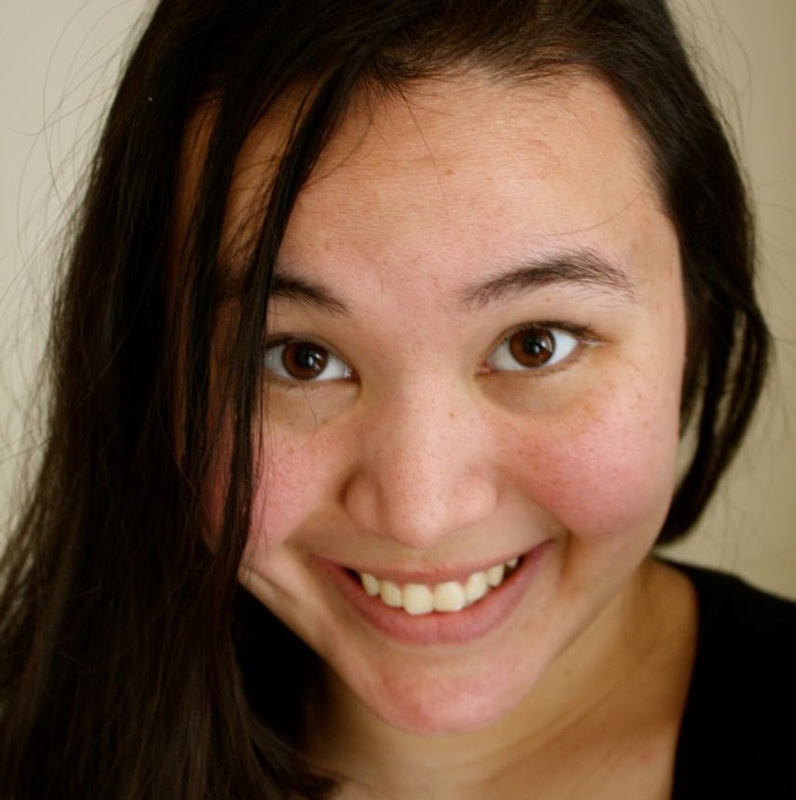 Buds & Scrubs began after an 8-year journey led one woman to a diagnoses of Lupus. Her diagnosis sparked a whirlwind of questions about whether what she was eating, or putting on her body, could be contributing to her symptoms worsening. It is from the result of tons of research that Buds & Scrubs was born. Essentially, if the ingredients aren't simple and safe enough to put on their skin, they won't ever be asking you to put it on yours, either! They do not test on animals, and each of their products achieves the high quality you get when products are handmade right here in the USA. No artificial fragrances, no hidden ingredients, chemicals, or preservatives. Their Lavendar Sugar Scrub, for example, only contains crystallized sugar, sweet almond oil, lavender flowers, and lavender essential oil. 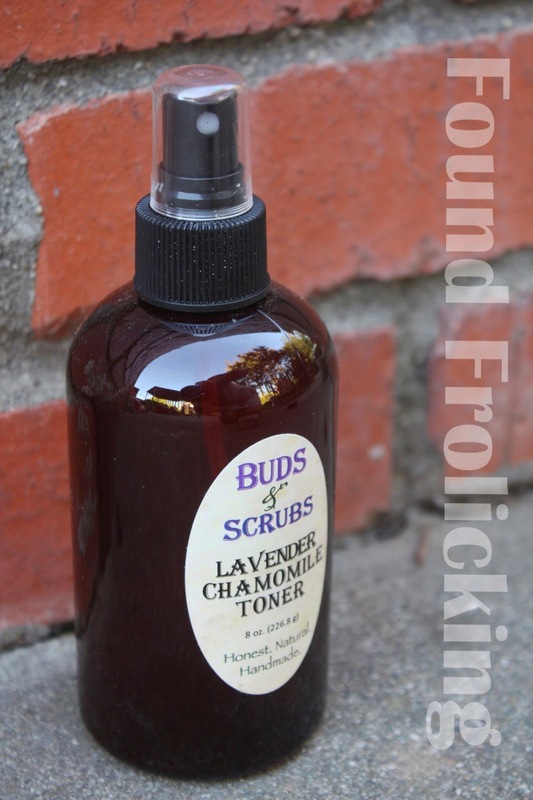 There are many amazing products to be found in the Buds & Scrubs store on their website, such as the Rosewater Facial Toner, Vanilla Brown Sugar Scrub, Orange Vanilla Salt Scrub, Cleansing Facial Grains, and their Romance Bath Tea! The list goes on and on, and so much more can be found in their store. 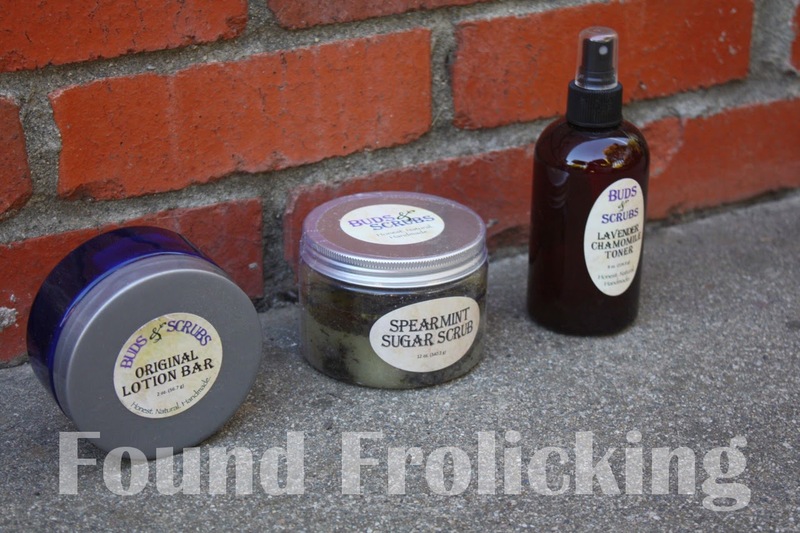 I received the Spearmint Sugar Scrub, Original Lotion Bar, and Lavender Chamomile Toner for review. The lotion bar came in the beautiful shape of a rose. I was a huge fan of it instantly, after I took one whiff and it smelled just like chocolate! The Spearmint Sugar Scrub has a strong, and very calming mint and lavender aroma. And the Lavender Chamomile Toner is very mellow and pleasant. All of these products work well together in providing great, healthy skin. I've used the sugar scrub while in the shower, sprayed on a moderate amount of toner, and then apply the lotion bar. Toner moisturizes and soothes skin, and is the perfect compliment to lotion. I always use them hand in hand! 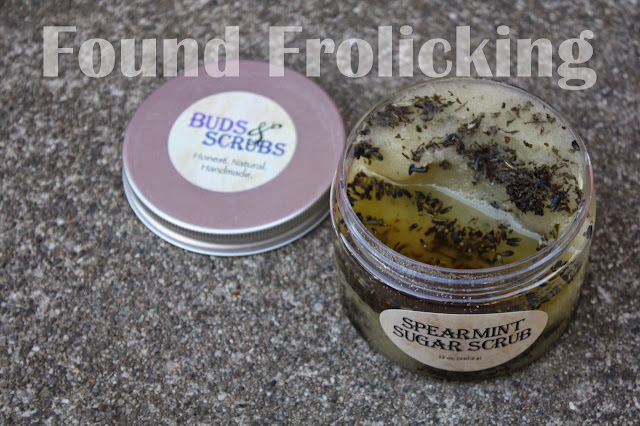 I have been loving all of the Buds & Scrubs products I've tried. The pure ingredients result in such a great product, I feel like I should see them in spas! The Lotion Bar is convenient to carry around, without worrying about any huge, messy accidents like the many lotions commercially available in tubes. I'm confident in the ingredients, and have used little dabs of the Lotion Bar to moisturize Little E's dry patches of skin (like his ankles). It's been wonderful. My favorite product is definitely the Spearmint Sugar Scrub, if only because I've never used a sugar scrub before, and now I have no idea how I've ever done without one! Five years in Canada in a province with extremely harsh winters took its toll on my skin, and the sugar scrub has been up to the challenge. The Spearmint Sugar Scrub with all of its minty goodness helps your skin feel that amazing, clean tingly feeling. I just LOVE it! Definitely one of my new essentials, and I can't wait to try other products from the line. 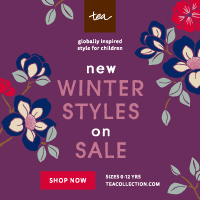 Take a look at their incredible line of products and pick up a few things to pamper yourself on their website. You can also keep yourself updated on new products and other amazing news by keeping tabs on Buds & Scrubs. You can find them on their Facebook page, follow them on Twitter, and follow their boards on Pinterest. And last but not least, Buds & Scrubs has generously offered up several of their products in an amazing prize package that will go to one lucky winner! The prize package contains: 1 Spearmint Salve, 1 Lotion Bar, 1 4oz Lavender Lemon Toner, 1 2oz Rosewater Facial Tonic, 2 4oz Lemon and Brown Vanilla Sugar Scrubs, 2 4oz Lavender and Spearmint Salt Scrubs. Read the fine print for the giveaway, which includes information about eligibility, and lets you know when the giveaway ends. Then head over and enter to win! A peek at just a few of the incredible products from the Buds & Scrubs line. The heavenly Original Lotion Bar that smells like creamy, dreamy chocolate! Smooth Spearmint Sugar Scrub is perfect for cleansing your skin. A closer look at the lovely texture of the Spearmint Sugar Scrub. 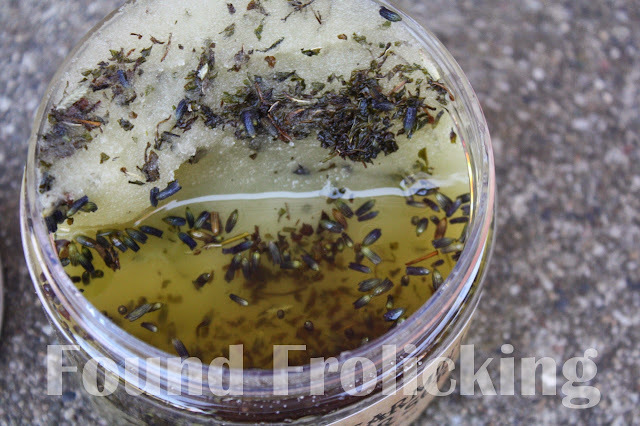 Cool and calming Lavender Chamomile Toner. 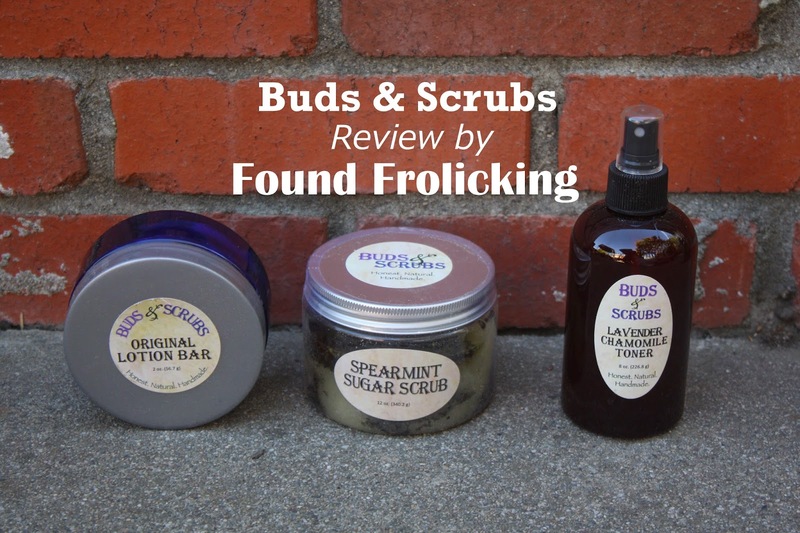 The lineup of incredible Buds & Scrubs products reviewed by Found Frolicking! Disclosure: This is a sponsored post. I received special perks, including product samples, in exchange for writing content about the brand above. All opinions expressed are my own, and were in no way influenced by the brand or any other sources. The post and all photos with the watermark are the property of Found Frolicking, and should not be used or distributed in any way without first receiving permission. If you would like to work with Found Frolicking for a review, giveaway, advertising, or promotion of any other nature, please email Lalia at found.frolicking@gmail.com. Fine Print for Giveaway: Giveaway open to individuals 18+ who are residents of the contiguous US. Entries are limited to one person per household. Giveaway begins October 27, 2014 at 12 am PST, and ends November 26, 2014 at 11:59 pm PST. The winner of the giveaway will be chosen at random through Giveaway Tool's Random.org. Winner will be notified via email, and first name and last name's first initial will be announced on the Found Frolicking blog. Please make sure your email address is correct when entered, so that you can be reached if you win. The winner will have 48 hours to respond to the email sent out to them, and should a response not be received within that time, the prizes are forfeited. Please follow the instructions for each entry, as you have to have done what was instructed for your entry to count. All entries will be verified. Found Frolicking is in no way responsible for prize shipment, but will work with the sponsors in all ways possible to ensure the winner receives their prizes. Void where prohibited. Entering using the Giveaway Tools form means you agree to the above terms. Thank you. I'd like to try several products, but the one I like most is the facial cleansing grains. Would be nice to have an exfoliator that isn't full of harsh chemicals, but still gets the job done! I love natural beauty products. I would most like to try the toner. I love finding natural products too. The spearmint sugar scrub sounds amazing. My husband doesn't always like the sugar scrub scents that I bring home. let me win let me win hihih! i'd love to try that spearmint sugar scrub. Orange Vanilla scrub....really the whole Orange Vanilla line would be my pick!! That's nice that they're offering a giveaway! I think these kinds of things make great gifts too! Buds and scrubs sounds like an amazing company and I will have to check them out. I love not to have to worry about what I am putting on my skin. Thanks for sharing. I've never used a sugar scrub either -- but now I'm strongly tempted! I bet the Spearmint is quite rejuvenating in the morning to wake up as you wash your face! This sounds great! I really like the container it comes in too! Tins and tubs are my favorite for storage and re-using! I'd like to try the Soothing Muscle Bath Tea. Constant nursing has done a number on my neck and shoulders! I like the face set that has the cleansing scrub, the toner, and the new serum. I use the Olay regenerist serum now, but wonder if there's a more natural product that can do the same or better. I've used and made my own salt and sugar scrubs, and love them! That's why I'd like to try this face set. Very informative surely gonna try this. Your skin is the most important part of your body as it is the largest part of your body. Hence, it is imperative that you pay sufficient attention to your skin and provide ample nourishment to it.